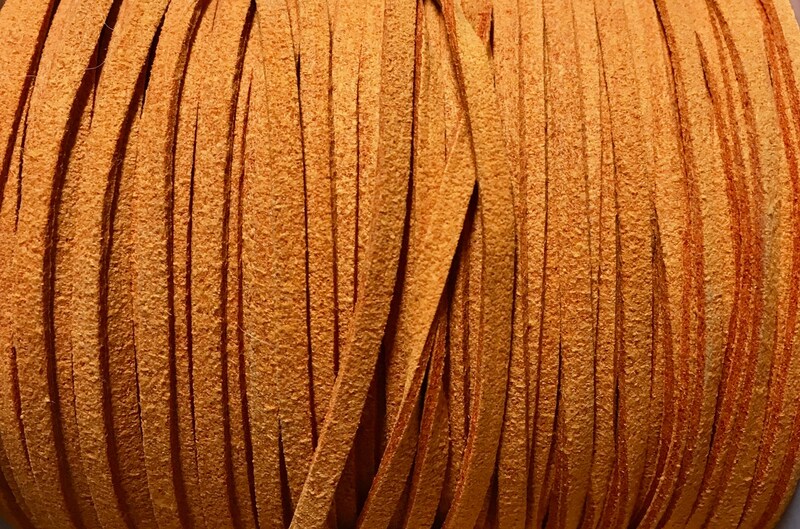 Ultra Micro Fiber Suede is a fantastic alternative to real suede cord. It is more flexible & incredibly soft, yet strong and durable, making it ideal for creating necklaces, bracelets, or anklets. The specially treated synthetic material does not have a noticeable odor like dyed leather; it will not crack or fray over time; and it's washable! 60% nylon, 35% polyester. This cord is 3mm and you will receive one piece of 6 yards of orange.